Thank you for sharing the link! I saw that sock on Ravelry as well, and the video really does a great job of explaining the process. Now you’ve done it! 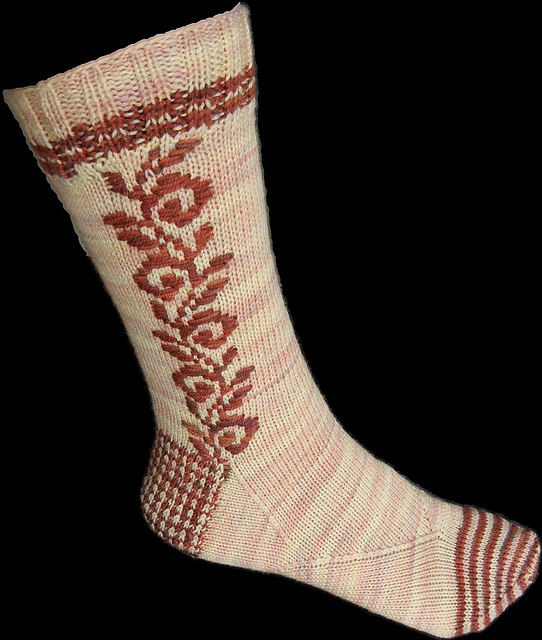 Now I HAVE to learn how to knit socks as this is just gorgeous! I downloaded the pattern, watched the video and saved it in my lists – I’m ready to go …………… Now I just have to complete the 100 and 1 things I have on the go and I’ll be off like a shot from a cannon………. Pray for me I’ve never yet got a sock past the heel turning stage! holy mackerel! These are gorgeous socks! I can’t wait to hear how they go when you make them. And I have my fingers crossed for dad’s blanket yarn. Yep, you’ve started a trend. I picked out yarn for these last evening. I’ll always be willing to help you through the heel turn once the 101 other things are completed.